Woolworths insurance for women. They know how to treat a lady. 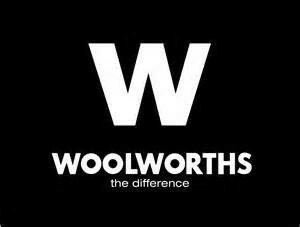 Woolworths believe that the insurance plans they provide offer excellent value, attention to detail and outstanding quality. Their emphasis is to provide cover that has everything you need. Insurance that is simple, easy to understand and affordable. And, since most women carry all their valuable items in one, you get free handbag cover with a Woolworth’s policy. What more is on offer with Insurance from Woolies? They currently provide car and home insurance, car touch up, personal accident cover and a cash back bonus. The bonus ensures you get some of your investment back after four years of cover. Get free Life insurance quotes online and find out more. What is the Woolworths benefit and how do I benefit? Insurance from Woolworth’s offers you the chance to save up to R5000 every year. Each policy comes with the added benefit of a free road, home, medical, trauma and legal assistance. And there’s that all important handbag cover as well as Woolworth’s grocery cover. You also get free assistance with a ‘Tracker’ installation and a subsidised subscription to ensure they find your car. Woolies provide car hire to ensure you of transport in the event of a stolen or damaged car. You can get up to 25% of your premiums back in cash after four consecutive claim-free years. If you pay your monthly policy premiums with a Woolworths card, you get 1% in vouchers to spend at Woolworths. My School Card donates a percentage of their premiums to the school you have nominated. Insurance from Woolworths provides quality insurance with an emphasis on insuring those things that are important to women. Take a look and see if they have the policy to suit your needs. Auto and General underwrite the policies and are an authorised financial services provider.